Give your face the radiance it deserves. 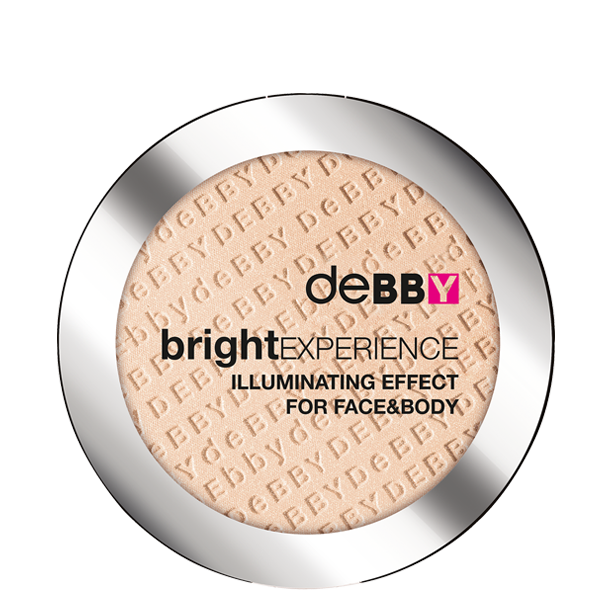 Get your glow on with this weightless, compact, all-over highlighter that you can use to fabulous effect on your face and body. The creamy formula is enriched with emollient minerals that feels silky soft to the touch. The product glides on evenly to achieve subtle yet noticeable highlights. IL120615A Ingredients: TALC, MICA, OCTYLDODECYL STEAROYL STEARATE, SYNTHETIC FLUORPHLOGOPITE, MAGNESIUM MYRISTATE, ISOSTEARYLá NEOPENTANOATE, DIMETHICONE, NYLON-12, SIMMONDSIA CHINENSIS SEED OIL, TOCOPHERYL ACETATE, DIMETHICONOL, METHICONE, PARFUM, LIMONENE, BENZYL BENZOATE,METHYLPARABEN, ETHYLPARABEN, PROPYLPARABEN, BUTYLPARABEN, CI 77891, CI 77007, CI 77492, CI 77499, CI 77491.